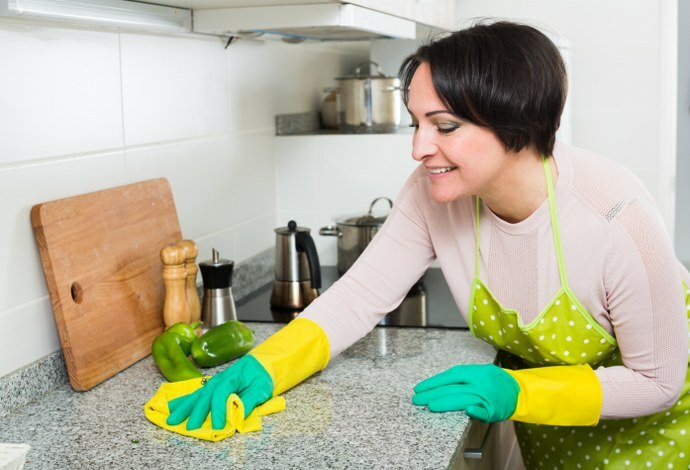 Many landlords insist on their soon to be ex-tenants shouldering the cost of a professional deep-clean of their property. 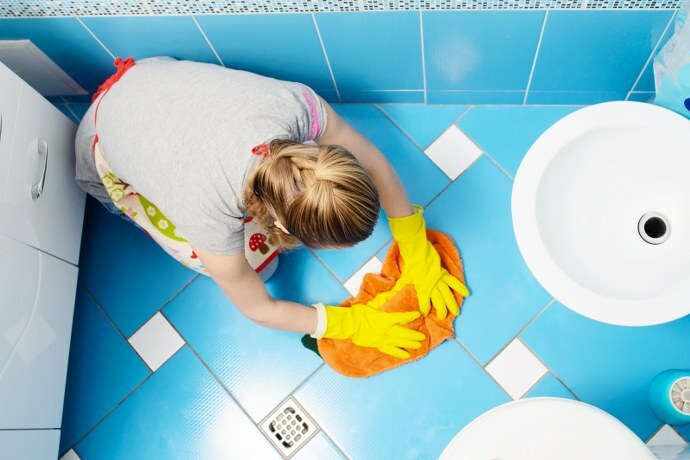 If you want to save on the costs of cleaning services or leave less work to pay for house cleaners to do, it’s worth bearing in mind that they are paid by the hour as well as the overall scale of the task. So, why not set aside some time to power through a to-do list that you can divide up between your housemates, and leave little if anything for the cleaners. Here is a comprehensive house cleaning checklist so nothing is overlooked and you save as much money as possible – not least your deposit. This is probably the most used and loved room in the home. But come moving time, it can become the most dreaded at the point end of lease cleaning. Not to worry. Start with emptying all food cupboards and all surfaces of debris and appliances. You will clean the floor last, as stray crumbs and other dirt will fall to the floor during the cleaning of fixtures and items. Clean and dry all kitchen appliances, including the microwave and especially the oven, both inside out. Then, move on to the extractor fan and hood, all surfaces that need polishing, including door and cupboard handles, taps and sinks. Finally, clean out and defrost the fridge freezer. Then, sweep or hoover the floor of all dirt and debris. Follow with a mopping and allow to dry. Perhaps the second most dreaded part of house cleaning is the toilet and bathroom. Wear cleaning gloves as you will likely come into caustic fluids or bleach. If necessary, add a face mask to avoid breathing in fumes. Vinegar is a cheap and very effective alternative to chemical cleaners, and great for removing limescale from kettles, taps and even the toilet bowl. Fill a kettle to capacity and allow to boil. Then, leave for a few hours or overnight. Rinse out thoroughly and all scaling should be gone. Soak taps with undiluted vinegar for two to three hours then use scourers to scrub off. In a toilet bowl, pour vinegar into the bowl and allow to soak. Using more vinegar, scrub any stains thoroughly and flush. Clean and polish (use bathroom cleaner, or a mix of bicarbonate of soda and distilled white vinegar) the shower screen, tiles, bath, behind any pipes, and all sinks and taps. Check for any wearing of sealant or silicone barriers and report these to your landlord. Start by looking at all corners of the room, moving away any furniture backed up to walls and windows. Get a damp cloth steeped in warm water and wrung out, and if necessary put on the end of a brush for hard to reach places. Remove all cobwebs from the ceilings and walls of every room. Wipe the tops of doors, and all furniture, once emptied, of any dust. Clean the inside of wardrobes, shelving, and cupboards. 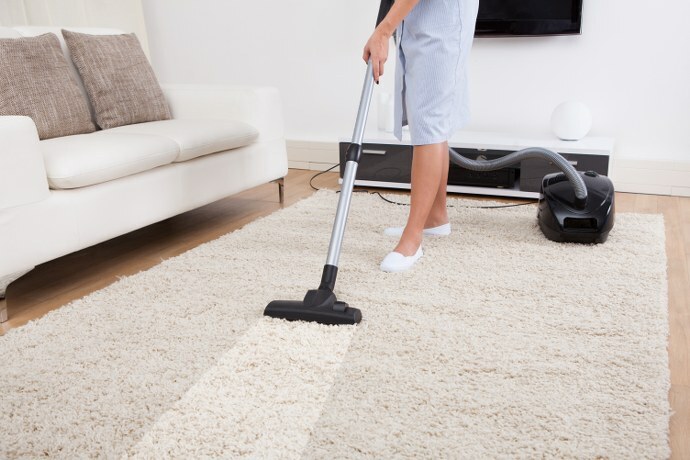 Vacuum any remaining dust from curtains, blinds, and railings, and wipe down mirrors and picture frames to remove dust and debris. Remember to wash the windows and window sills even if just with soapy water, and to polish handles and clean around sockets and light switches to remove unsightly fingerprints. Check the walls for scuff marks and gently scrub clean. Finally, carpet cleaning is often overlooked - so borrow a steam carpet cleaner if you can and also clean any upholstery of stains. If you can’t access a steam cleaner, use a hard bristled brush and some water and baking powder mix to remove stains. Pat down and allow to dry thoroughly. Vacuum any remaining powder. Hire a professional carpet cleaning service if you have stubborn stains. Keep in mind that leaving the stains behind may mean not getting your deposit back. If you have an outdoor space, it won’t hurt to tidy up all debris and rubbish from your outside space and well as giving a scrub of the garden furniture. Empty the bins of waste and sweep the ground. Give a rinse of the concrete with a soapy water solution and scrub with a hard bristled broom. If dry, simply sweep any dust and leaves away. If each part of the house is delegated evenly between housemates, all this should be done in no time. If no one is around to help you, hire cleaners or invite friends over to help and even make an informal gathering of it with some snacks and drinks afterwards. Just remember to dispose of any leftover rubbish if you do!